With the new app “YAY images for iPad” users can now search for images, add images to project folders and download them directly to their iPad’s photo library. Combined with the Keynote app anyone can create a presentation with images using only your iPad. The app includes a color search, helping user finding the right image. User can also create project-folder to manage photos into different projects. These folders syncs with the website version at yaymicro.com. 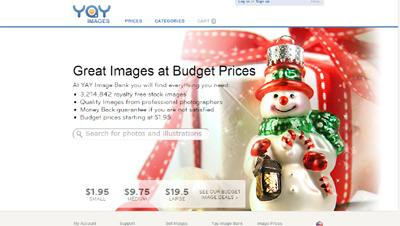 About Yaymicro: YAY Images http://yaymicro.com currently represent over three million royalty free images. YAY, located in Oslo, Norway, aims to be a world-leading provider of images and image technology. Jan Ole Kjellesvig, Linda Johannessen and Bjorn Sjogren founded YAY in 2008. About PGS Software: PGS Software is one of the major IT outsourcing companies in Poland. Employing almost two hundred developers, it’s an important part of the outsourcing business thriving in Central Europe. PGS worked with many Western companies building B2B applications, banking systems, telecom software and social tools using all modern platforms and technologies.